Difficult to be civil to owners when they claim that their dog is much loved and cared for.! 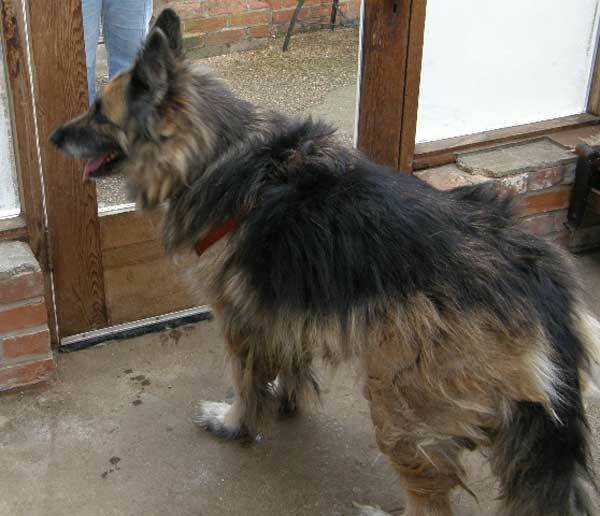 her coat, teeth and nails sais otherwise but fortunately we were able to get her away from them and inopt a lovely home. 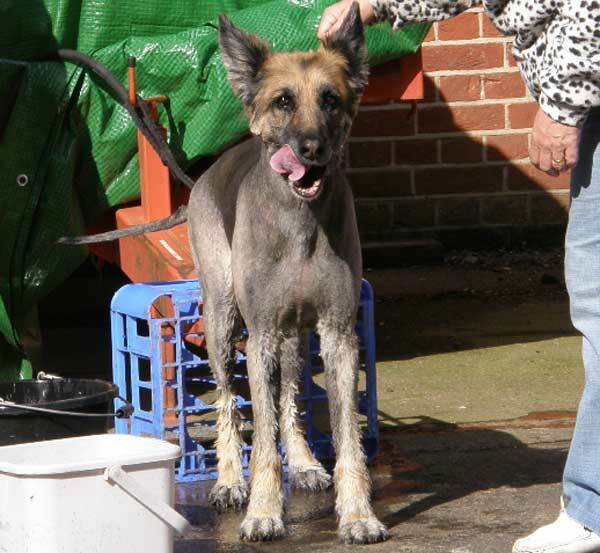 Roxy's coat was so badly matted that there really was no alternative but to shave it all off and start again. So after a number 1, toe nail trim and tetth clean, this girl is feeling good. Well a girl's got to keep warm so mum treated me to a nice new coat. 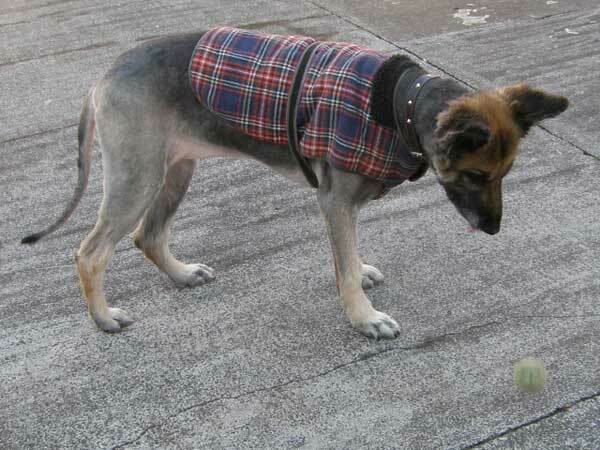 Get that tartan, latest fashion in doggie attire. I will be sending you more pictures when the hair starts to grow back. I shall be having regular wash and brush ups to keep me looking lovely.